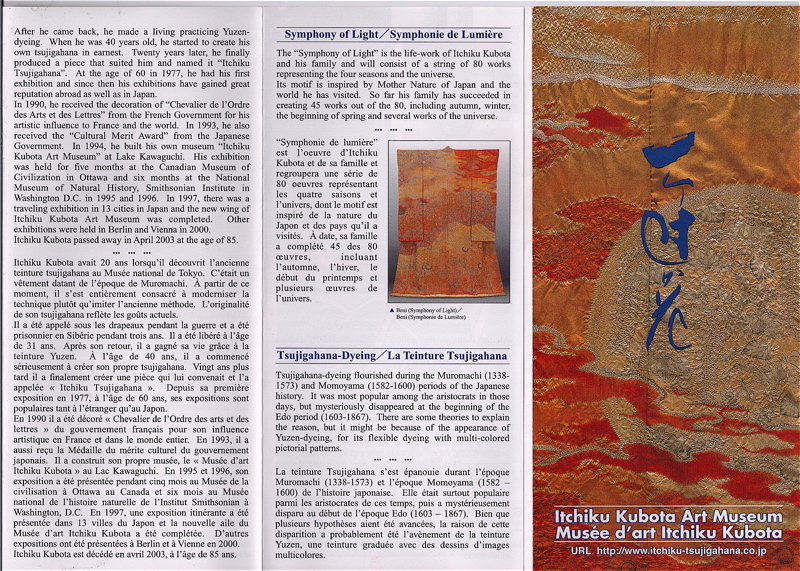 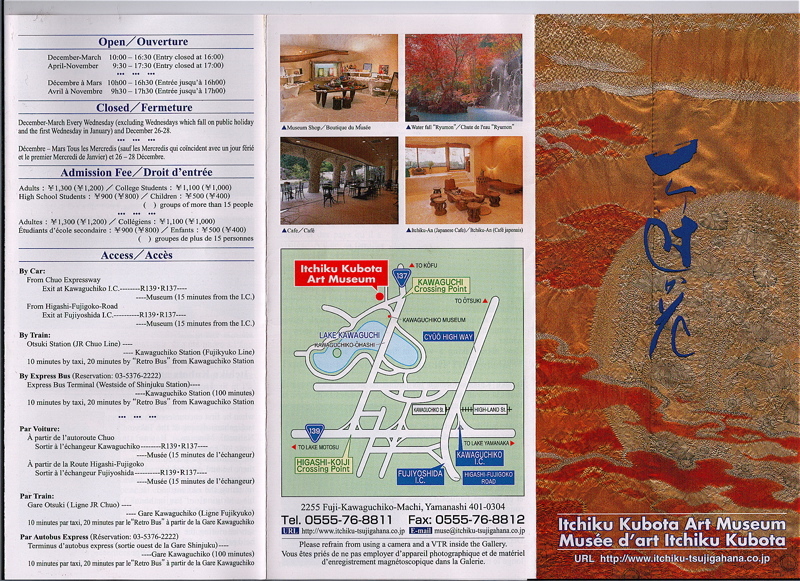 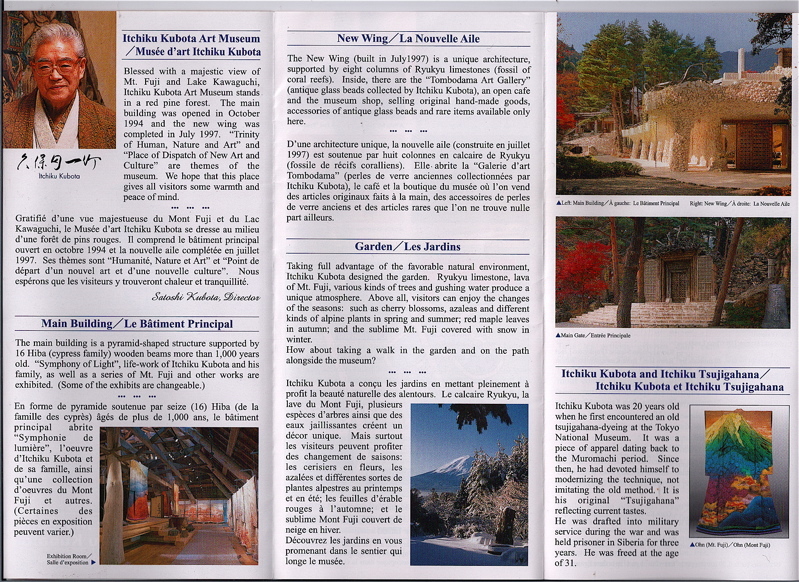 Itchiku Kubota Art Museum brochure: Click on the images to enlarge them which will enable you to read the brochure on Itchiku Kubota. 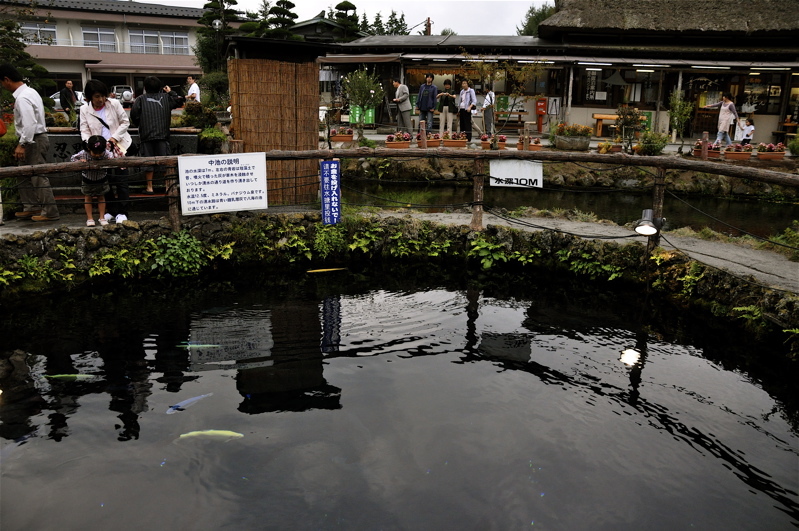 Taking photographs at the museum was forbidden. 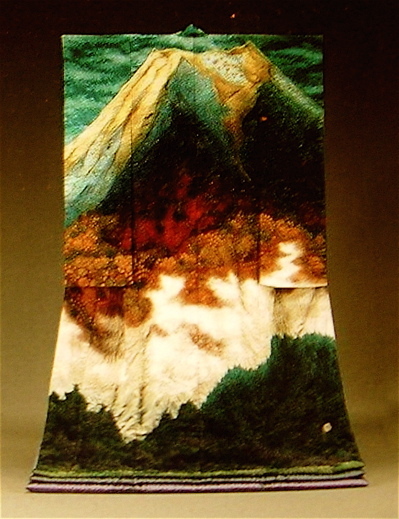 The painting above is from a handkerchief purchased at the museum. 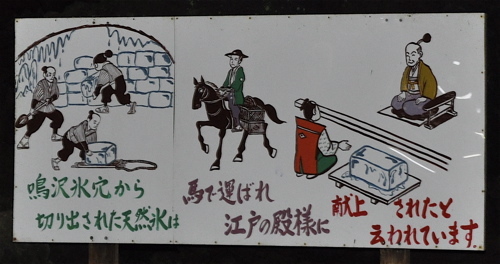 This is a picture panel in front of the Oshino Hakkai. 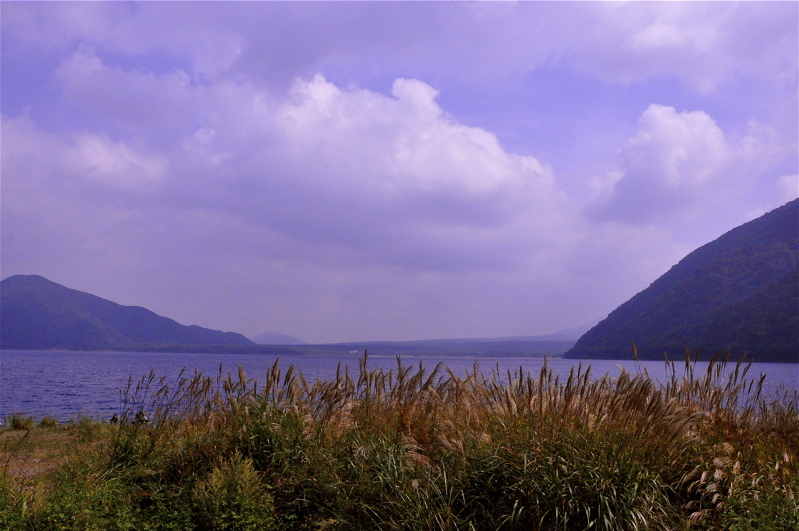 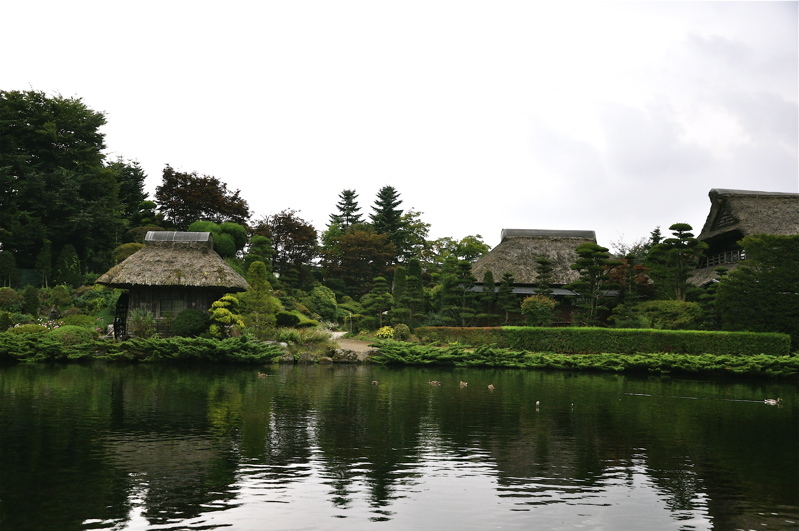 Alas, Mount Fuji was hidden by clouds on this day …. 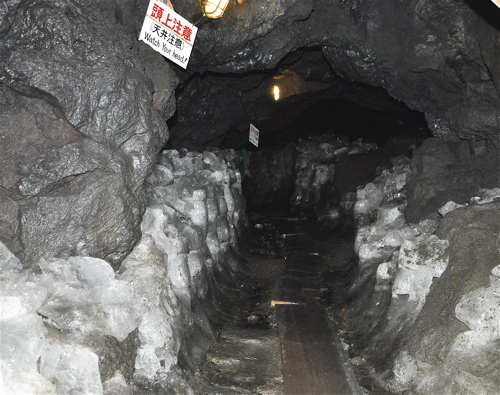 The Narusawa ice cave is a tunnel leading down to an area of 0º where icicles and ice are formed. 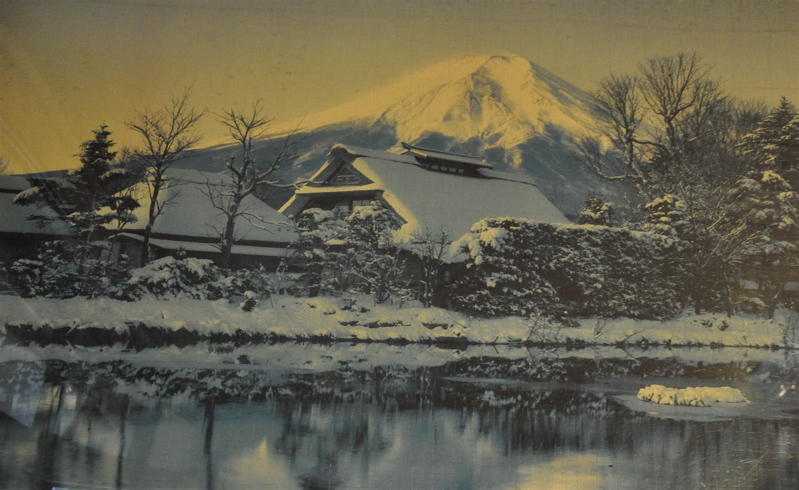 Blocks of ice were offered to the Japanese nobility during the time when freezers did not exist, and were used to cool rooms under their houses. 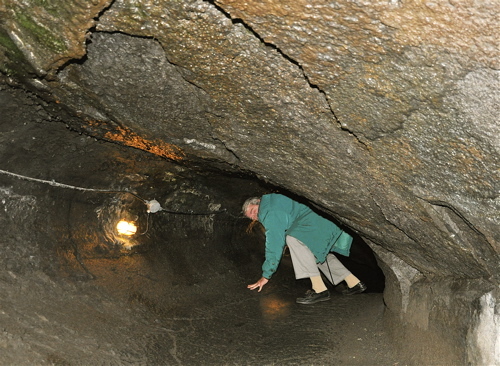 It’s a dangerous cave where ceilings are low and the smooth rock floor is slippery. 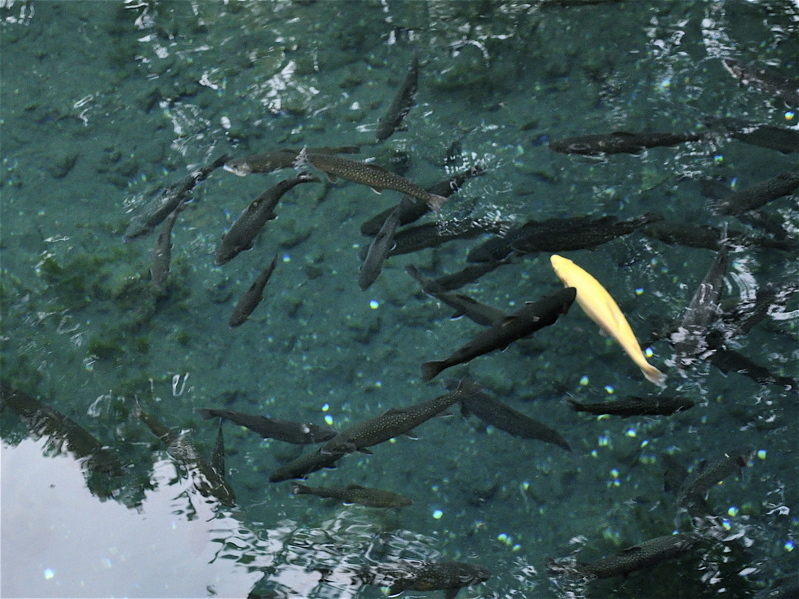 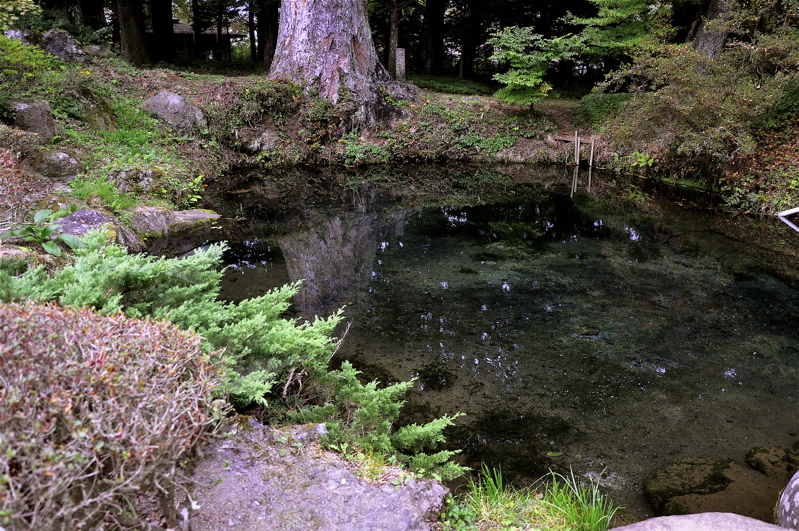 At depths of 10 metres, one can see the bottom at the springs. 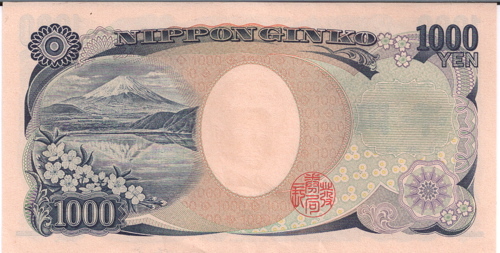 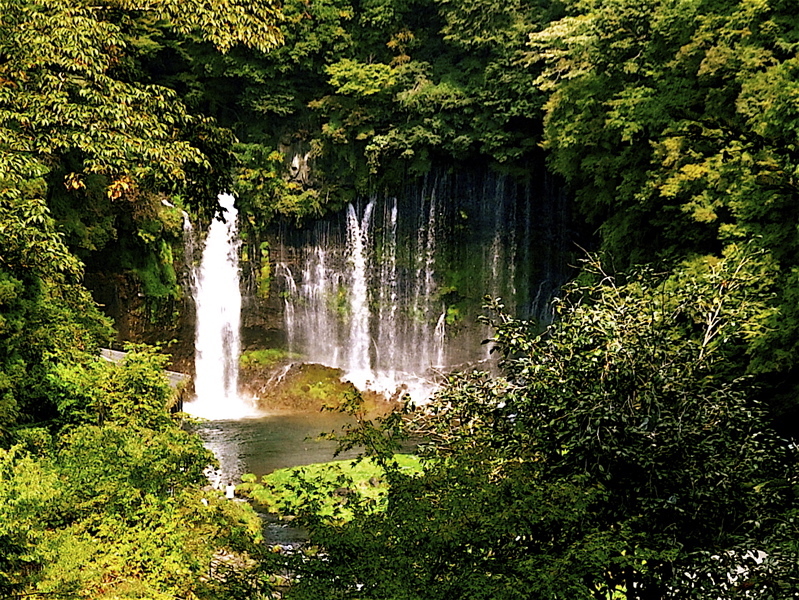 On a lonely mountain road, we searched for the scene on the ¥1,000 bill and found it here at Motosuko. 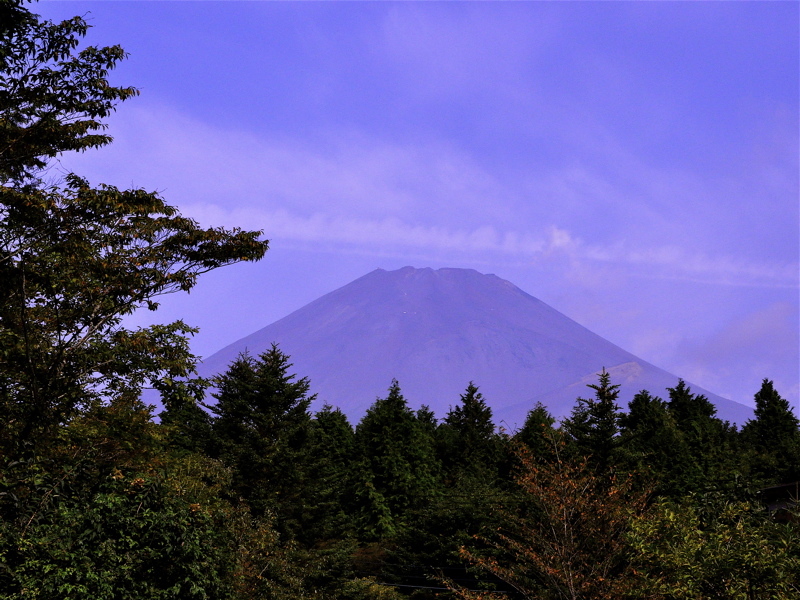 Unfortunately, Mount Fuji was hidden by clouds. 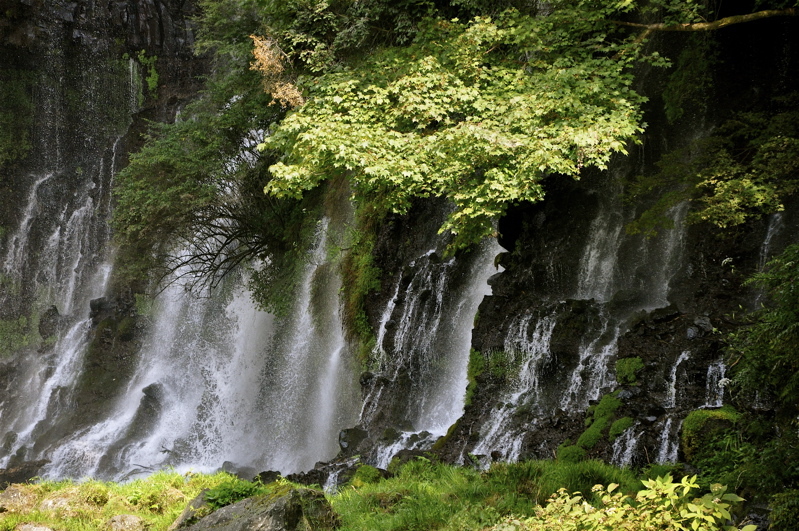 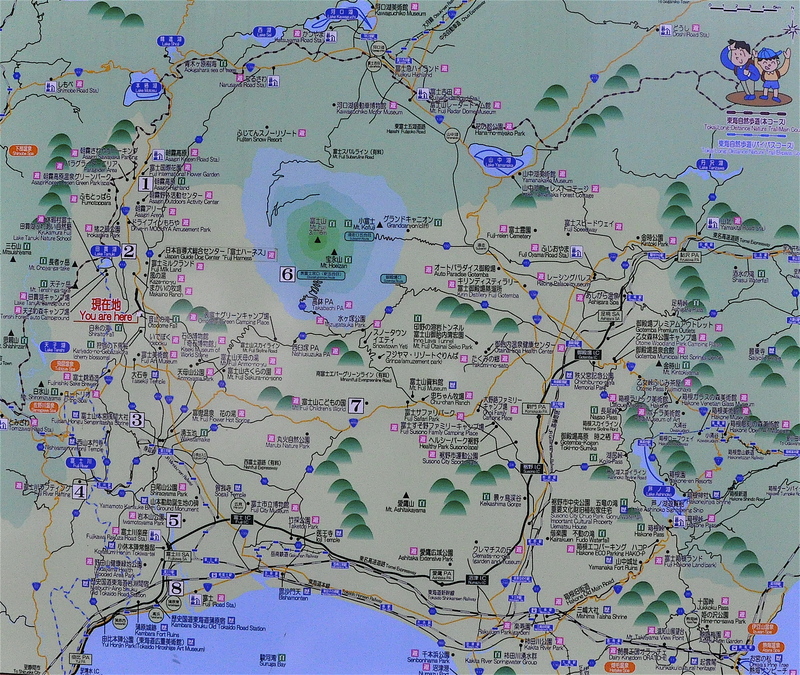 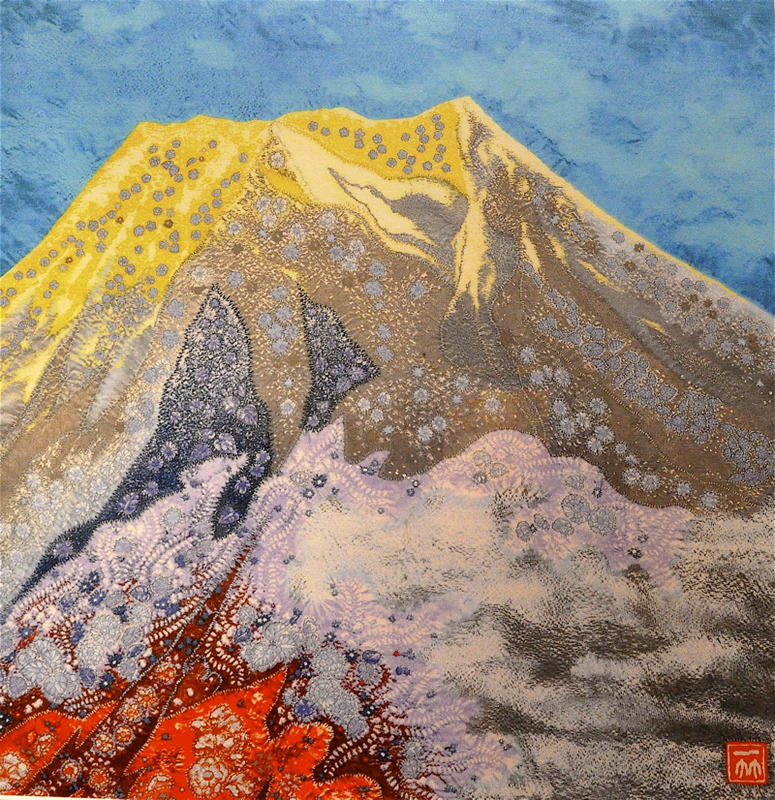 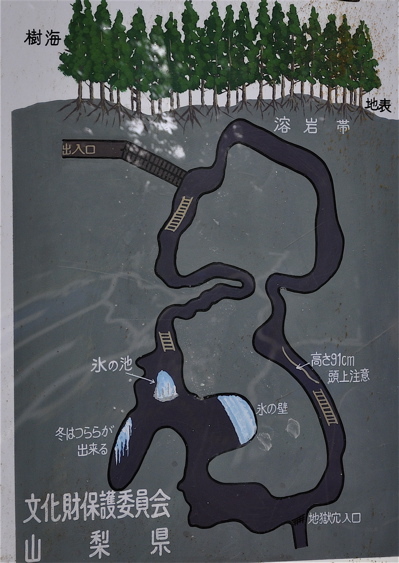 This is the map of the vicinity of Mount Fuji in the Shizuoka prefecture. 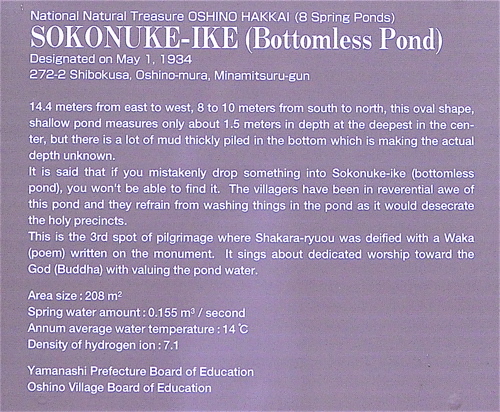 Click on the image to enlarge it, and using the magnifying glass icon, click on the area you wish to have a closer view.